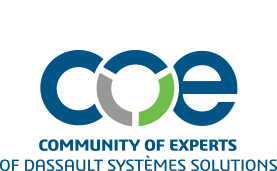 The COE PLM FORUM is an opportunity for COE member companies to ask questions directly with a panel of executives from Dassault Systèmes. The PLM forum panel will address questions submitted in advance of the annual conference and discuss development plans, product ideas, and future strategy. Submit your question when completing your registration or email to coe@coe.org for possible inclusion in the COE PLM Forum. All submissions must be captured by March 2015 for consideration.